Music has always been a huge part of my life. I started playing the violin in third grade, I was a part of every play/musical both in school and through Sunday school up until college. I can remember hearing my dad play his guitar and singing when I was pretty small and oldies were a background staple throughout my entire life. To say I like or even love music is putting it mildly. 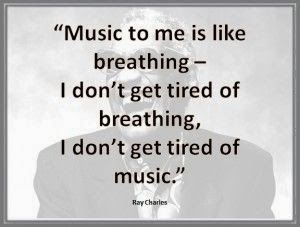 Not even sure there is a word strong enough to describe my feelings about music. I mean come on I've been dedicating a day each week to it! It's always funny what kind of mood I'm in when listening to songs. 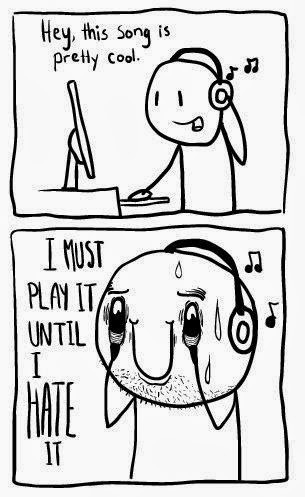 This first pin cannot describe how I listen to music any better! I'm also a terrible channel surfer when I'm listening to the radio in my car. Must always flip through all my channels first just to make sure there isn't a better song on, then commit to the one I want to listen to. Even now after listening to music for my entire 28 years it still amazes me how much it can make you feel. Certain songs instantly bring you back to that one summer when you were little or can remind you of that one friend or boyfriend you have tried to block out of your memory. It gives you that warm feeling of remembering family or makes you enjoy that righteous anger you're feeling as you bust it out on the treadmill. 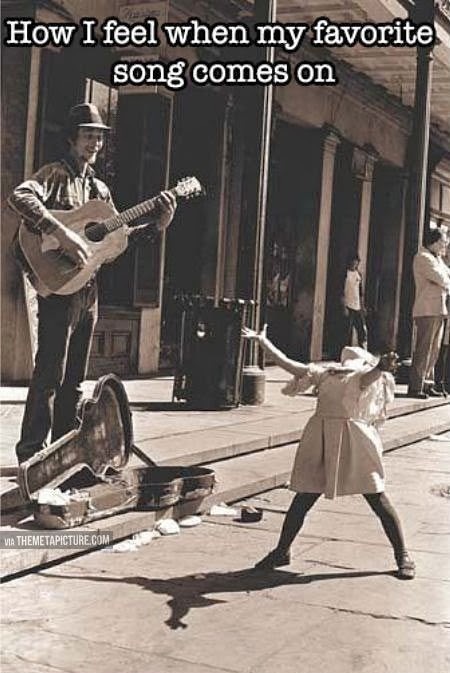 Seriously though that little girl is me every time one of "my songs" comes on. 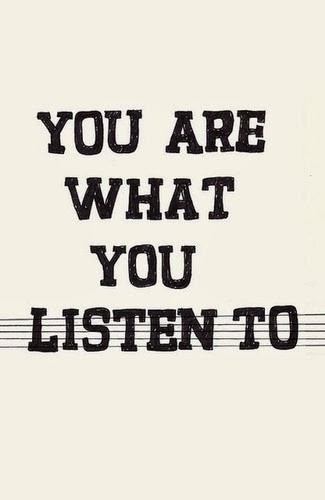 Being a snob about my music is also an important part of my musical experience. If I'm not a fan of said song or said genre *cough cough Country cough* it's tough cookies. 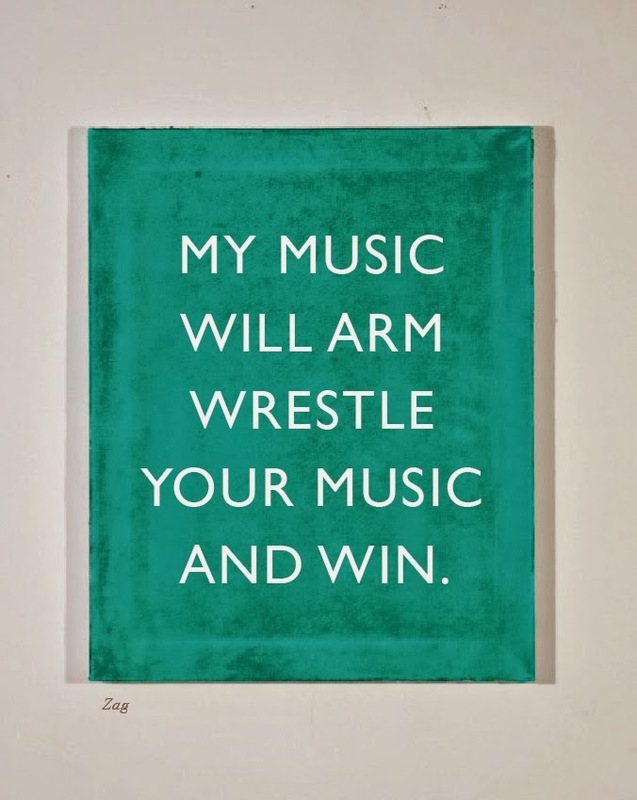 Certain music will definitely not be played around me if I can help it and I will defend my music to the bitter end! Music is just so darn awesome. I challenge anyone to tell me they don't have one song that hasn't moved them or doesn't have a memory for them. Doesn't matter the genre or anything, everyone has that with music. That's just how life is. Music is life. I've played the clarinet since I was seven, so I know exactly how you feel! 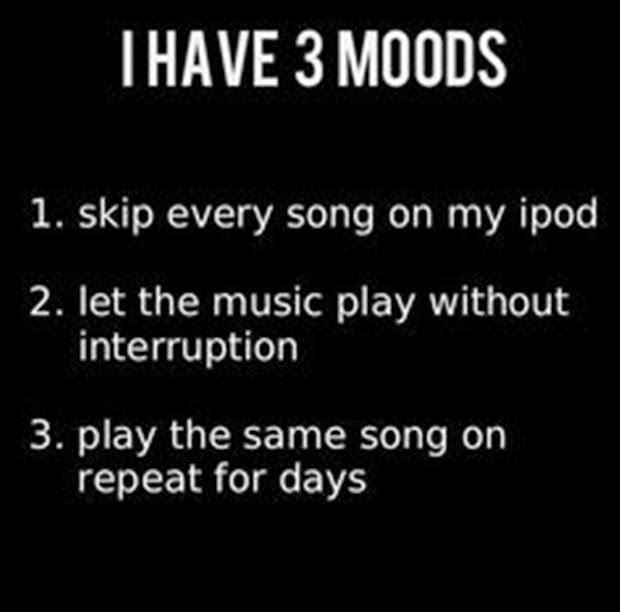 That first photo is so true, I am guilty of having those three moods as well. Seriously! My husband hates it when I'm in the skip everything mood. After a couple skips he freaks out and is like just pick something!!! You're so right that music can bring you back to a moment or time of your life in just an instant. 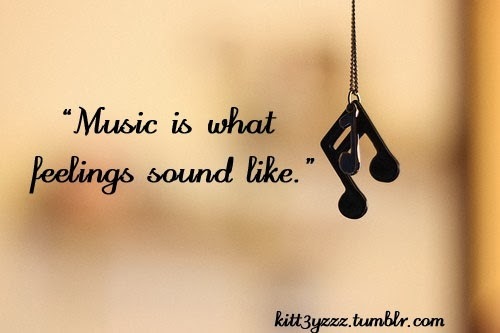 It is the soundtrack of our lives:) Loved reading about how much music means to you. Hope you're having a great day! I so agree with you! Just last week I was in a skip everything mood and it began to drive me crazy. A great post.